This entry was posted in Chemical and tagged Chemical warfare, Chlorine, Investigation, OPCW, Syria, War on 16 November 2015 by JP Zanders. 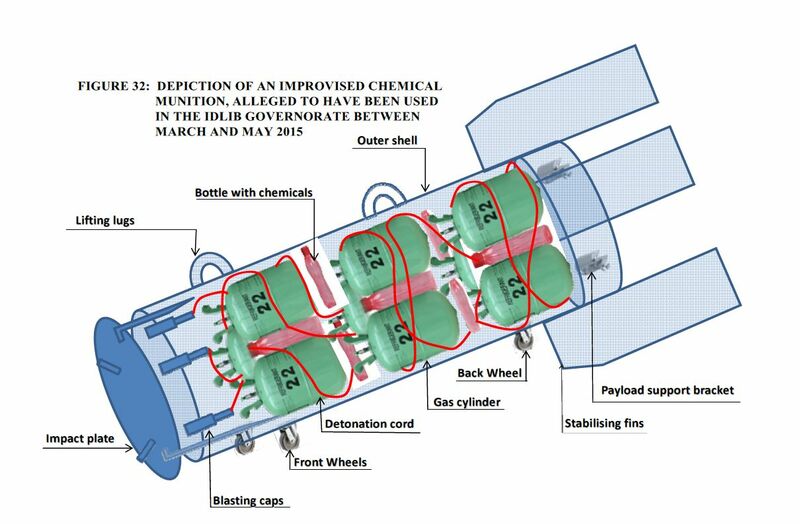 If this diagram is really in an OPCW report, the credibility of the FFM is called into question. 3. The stoichiometry is all wrong – the reaction requires potassium permanganate and hydrogen chloride in the ratio approximately 1:2 by weight. The solubility of potassium permanganate in water is only one-tenth that of hydrogen chloride, so the ratio by volume would be 5:1. In the design shown, this ratio is about 1:20. 1. The clinical signs in the child whose death is shown in the video are consistent with a drug overdose causing respiratory depression, rather than chlorine poisoning. 2. The staff make no attempt to provide respiratory support when this child stops breathing, though they are in a well-equipped emergency room. 2. The apartment where the family is supposed to have lived is empty when the rescuers arrive, with blood on the floor in several rooms. 3. 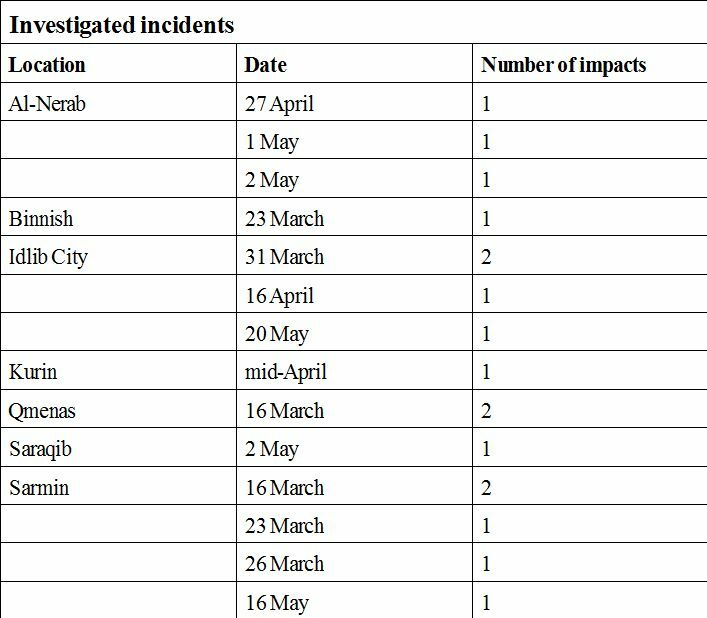 The videos released by the purported civil defense organization White Helmets share content with those released by the Al-Nusra Front, the Syrian affiliate of Al-Qaeda.